I don't usually post reviews, but I thought that this subject was worth mentioning in case anyone else is having problems with Windows Media Center (WMC) and Linksys Media Center Extenders (MCEs). That being said, the Linksys MCEs never worked perfectly for me. They worked fine with DVR-MS, WTV, and WMV files, but for some reason they never worked well with MP4 files – which included my entire library of personal DVDs that I painstakingly ripped and stored in a Media Library on a NAS unit. However, I should mention that MP4 files played just fine on the WMC computer itself, just not on the Linksys MCEs. I should point out that all of my devices are hard-wired to gigabit networking hardware, so throughput should never have been a problem. (In fact, running the networking tests from the Linksys MCEs always showed bandwidth off the scale.) I eventually decided that the DMA2200 would have to be limited to just playing back recorded TV, which made it a rather bad return on investment. 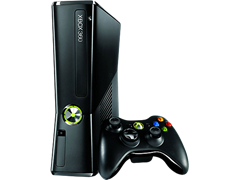 For the past few years I had thought that the problem was simply some sort of compatibility issue with Windows Media Center and MP4 files when using an MCE, but I never had any problems with my Xbox 360 when using it as an MCE. In fact, the Xbox works so well that I have disconnected my WMC computer from my TV and now I exclusively use the Xbox to control my WMC. Seeing as how the Xbox was working so well, it finally dawned on me that the problem had to be something internal to the Linksys MCEs. With that in mind, I started shopping around for a second Xbox 360 to replace my remaining Linksys MCE, but first I decided to read some of the Ceton Echo reviews on Amazon. 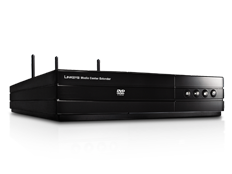 Several of the reviewers specifically mentioned my exact scenario; they were using Linksys MCEs and they were having problems with the video freezing/skipping, and the Echo resolved the problem. With that in mind, I decided to give the Echo a try. 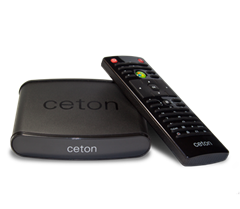 My Ceton Echo arrived a few days ago, and it was a breeze to set up. The footprint is much smaller than either the Linksys DMA2100 or DMA2200, and it's obviously a lot smaller than an Xbox 360. Another nice feature was that the Echo accepted commands from my existing Linksys remote; this was great for me because I had already configured my Linksys remote to control my TV, so I didn't have to change anything else in my setup if I didn't want to. All of that being said, the most-important benefit after replacing my Linksys MCEs with the Ceton Echo is – no more skipping or freezing when playing MP4 files, and I can use the skip-forward, skip-backward, and pause buttons on the remote when I am viewing MP4 files. One small downside is that the fast-forward and reverse buttons do not seem to work with MP4 files, but I can live with that. 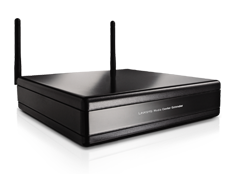 So in closing, if you're using a Linksys Media Center Extender and you're having issues with it, you might want to seriously consider replacing it with a Ceton Echo. But I've done a few extra things with my Windows Media Center that are a little beyond the norm, and one of the biggest items that I spent a considerable amount of time and effort digitizing my entire collection of DVD and Blu-ray discs as MP4 files, and I store them on a Thecus NAS that's on my home network which I use for media libraries on my Windows Media Center. This allows me to have all of my movies available at all times, and I can categorize them into folders which show up under the "Videos" link on the Windows Media Center menu. That being said, there's a cool trick that I've been using to help customize some of my movies. Some of the movies that I have encoded have some material that I'd like to cut out, (like excessive opening credits and lengthy intermissions), but I don't want to edit and re-encode each MP4 file. Fortunately, Windows Media Center supports Advanced Stream Redirector (ASX) files, which allows me to customize what parts of a video are seen without having to edit the actual video. Here's a perfect example: I recently purchased the 50th Anniversary Collector's Edition of Lawrence of Arabia on Blu-ray. The film is one of my favorites, and this reissue on Blu-ray is phenomenal. That being said, the movie begins with a little over four minutes of a blank screen while the musical overture plays. In addition, there is an additional eight minutes of a blank screen while the music for intermission is played. This is obviously less than desirable, so I created an ASX file which skips the opening overture and intermission. By way of explanation, ASX files are XML files which define a playlist for media types, which can be any supported audio or video media. The individual entries can define various metadata about each media file, and thankfully can be used to specify which parts of a media file will be played. The first entry defines a <STARTTIME> and <DURATION> which skip over the overture and play up to the intermission. The second entry defines a <STARTTIME> which starts after the intermission and plays through the end of the movie. The other metadata in the file - like the <AUTHOR> and <COPYRIGHT> - is just for me. That information is optional, but I like to include it. There are several other pieces of metadata which can be configured, and a list of those are defined in the Windows Media Metafile Elements Reference and ASX Elements Reference.